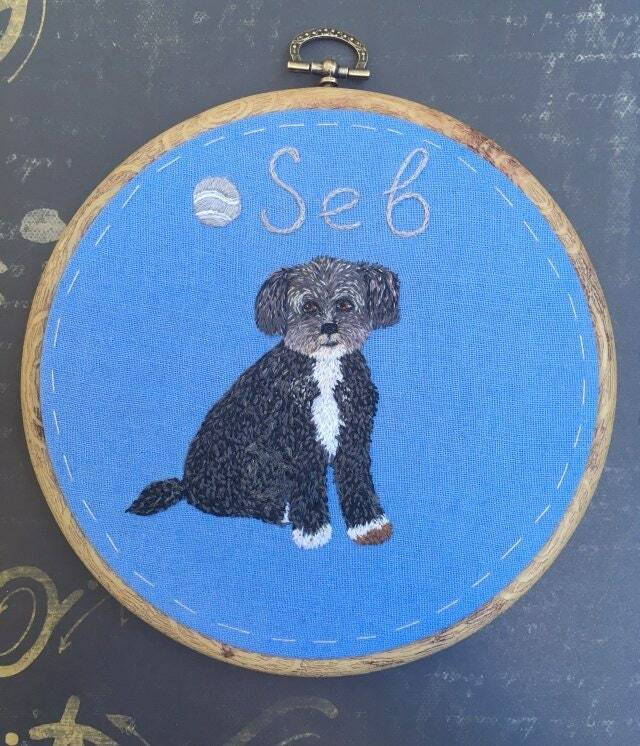 Pet Portrait Embroidery.Personalized Custom Pet Portrait.Embroidery Dog Portrait. 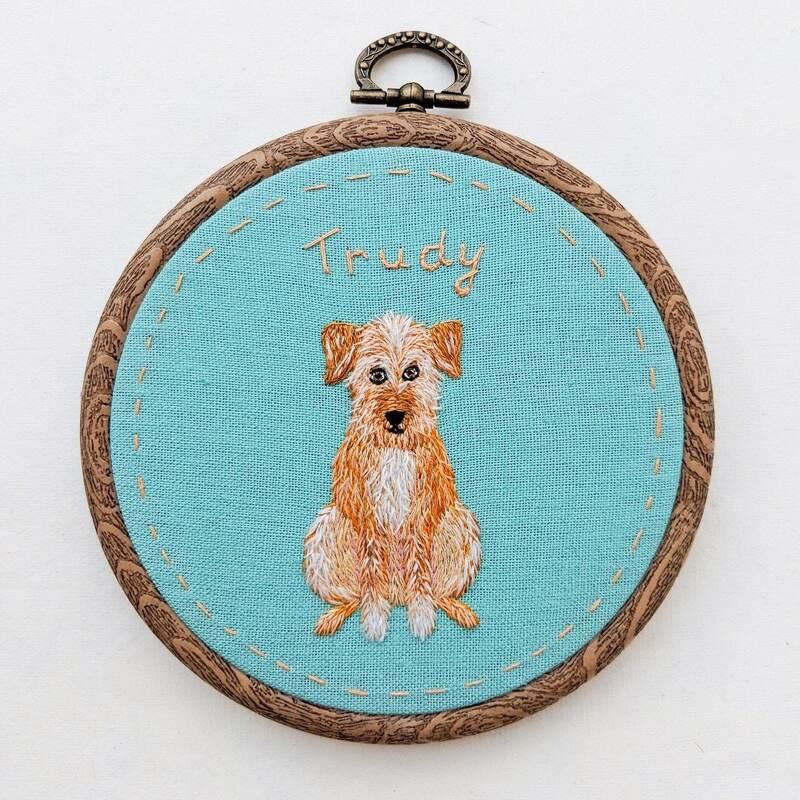 Embroidery cat portrait. 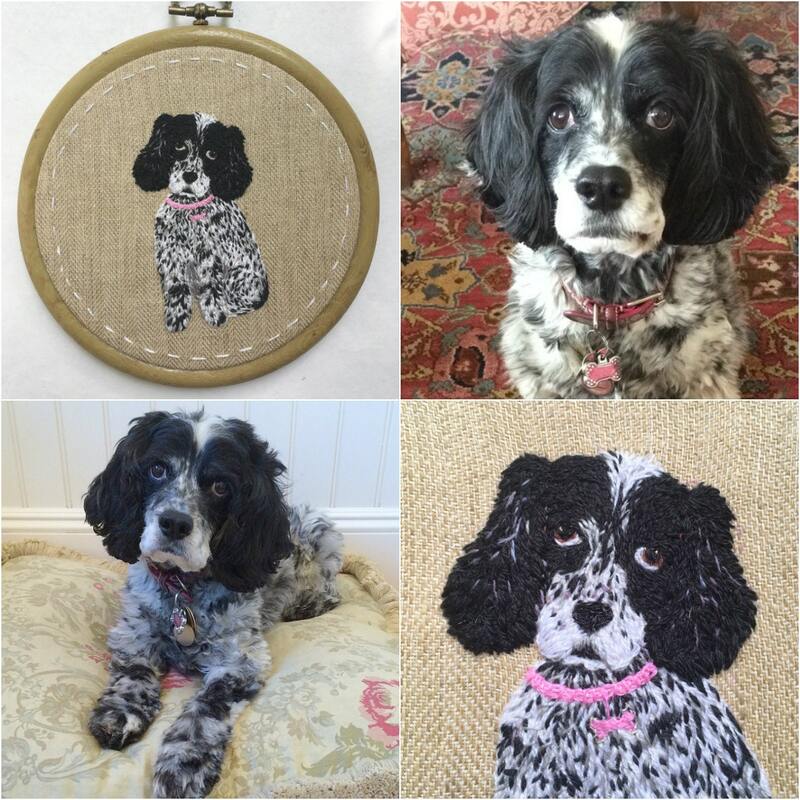 Custom Pet Portrait, Commission - Dog/Cat Embroidery Picture in the Hoop or Frame, hand embroidered textile pet art. 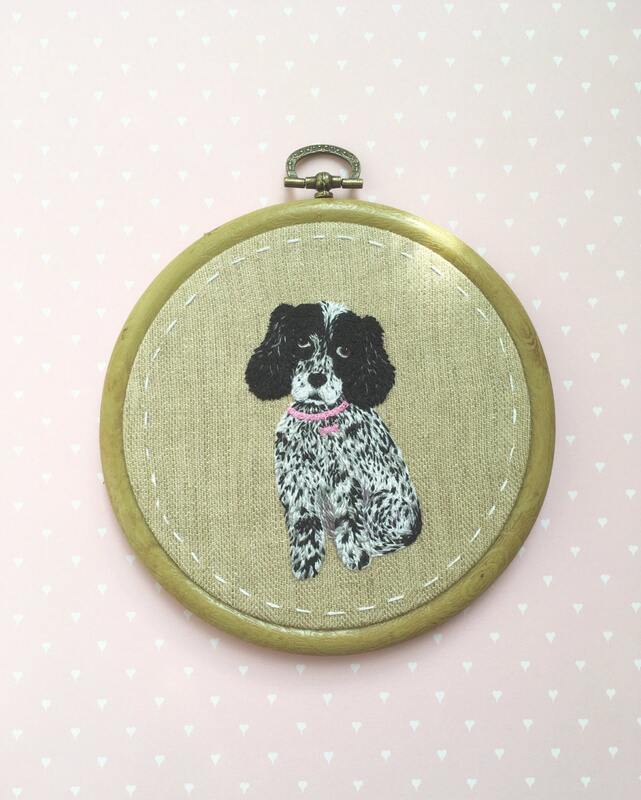 a perfect gift for all pet lovers and dog and cat owners! - Color: the background color will depend on the colors of your dog. For bright dogs I prefer making dark background and for dark dogs - bright background. On the pictures you can see some examples. 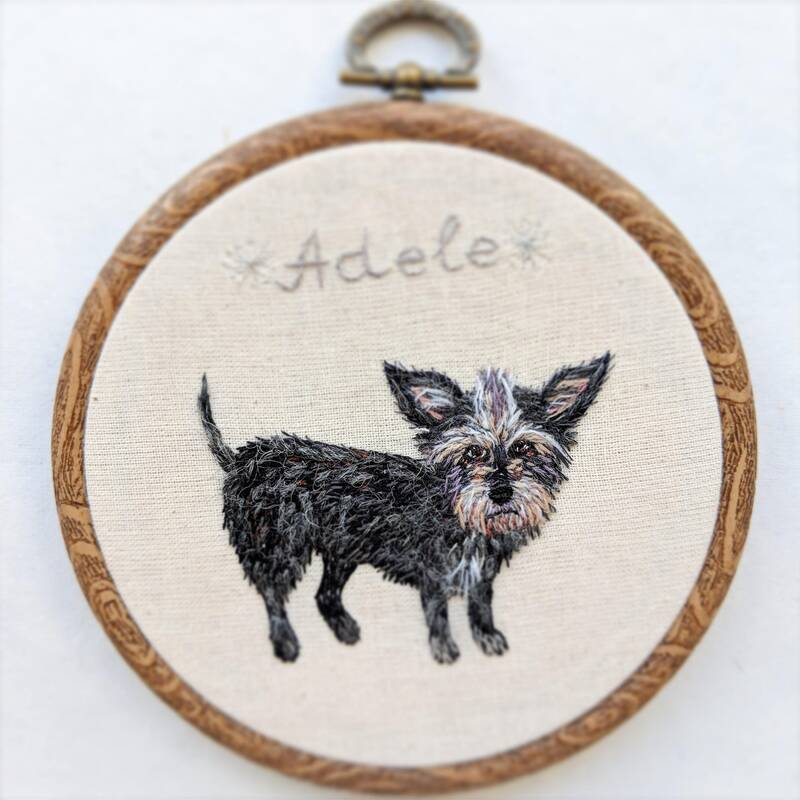 - The size of embroidery hoop is approx. 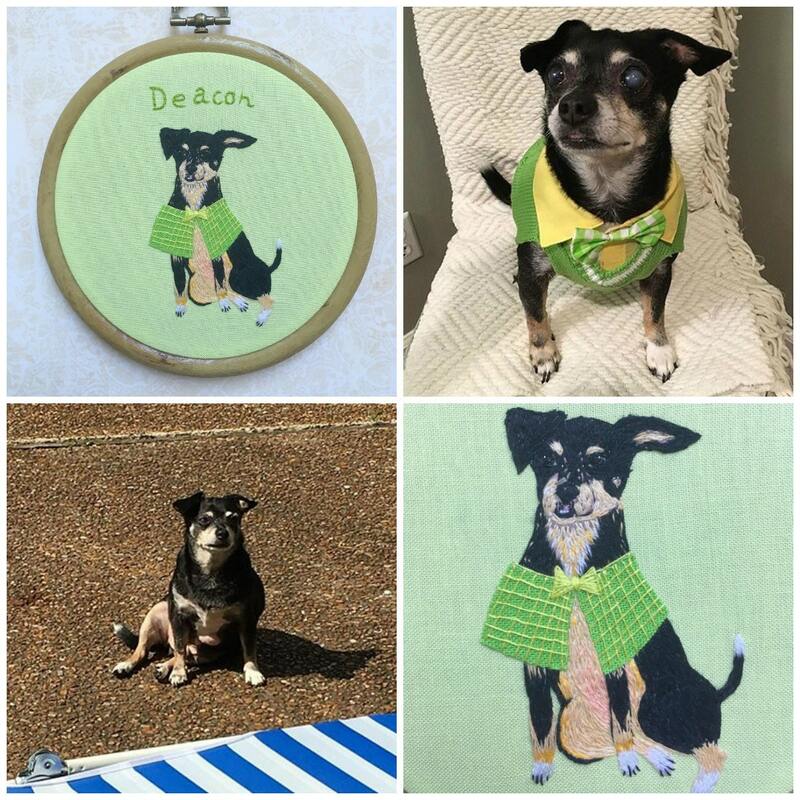 Please provide me with 2-4 good pictures of your dog in different positions - sit, stay, down, to makiko [!at] makiko.at or via Etsy PM. Please also add the main colors of your dog, because it can appear differently on the pictures. 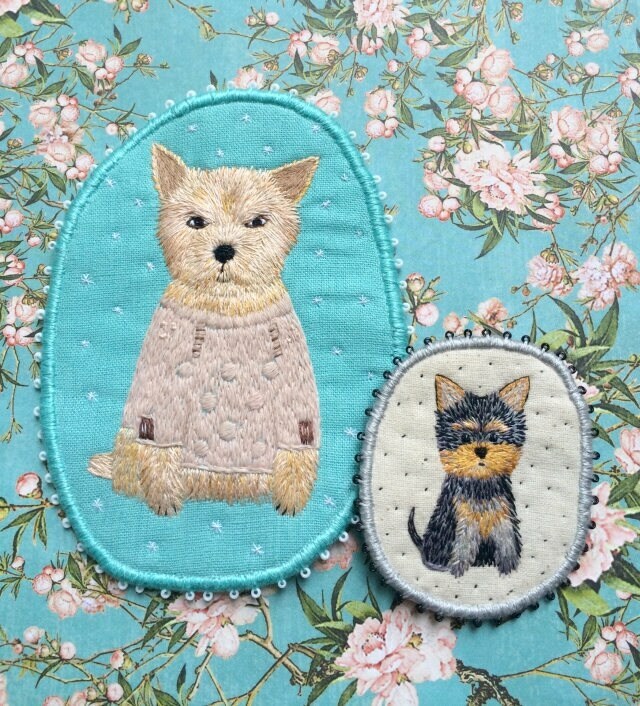 After the order is placed (payment & pictures) it takes 10-14 days for the embroidery to be made + the shipping time. 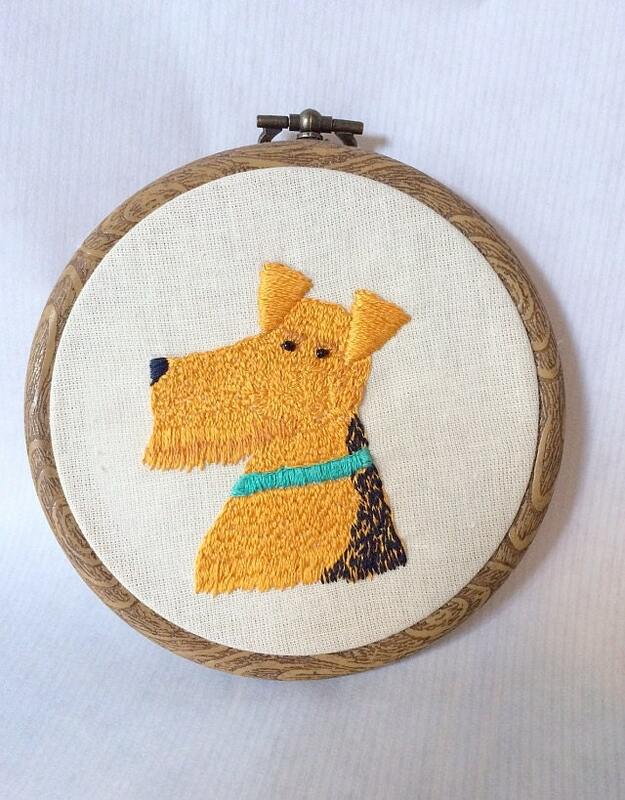 This is a character portrait embroidery, in “Funny Dogs” style by makiko. 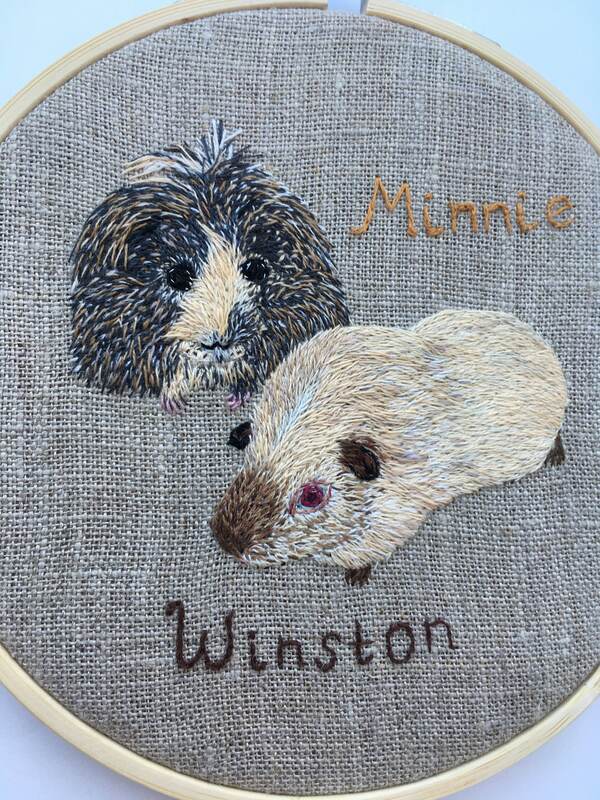 Its made in my unique hand embroidery technique. 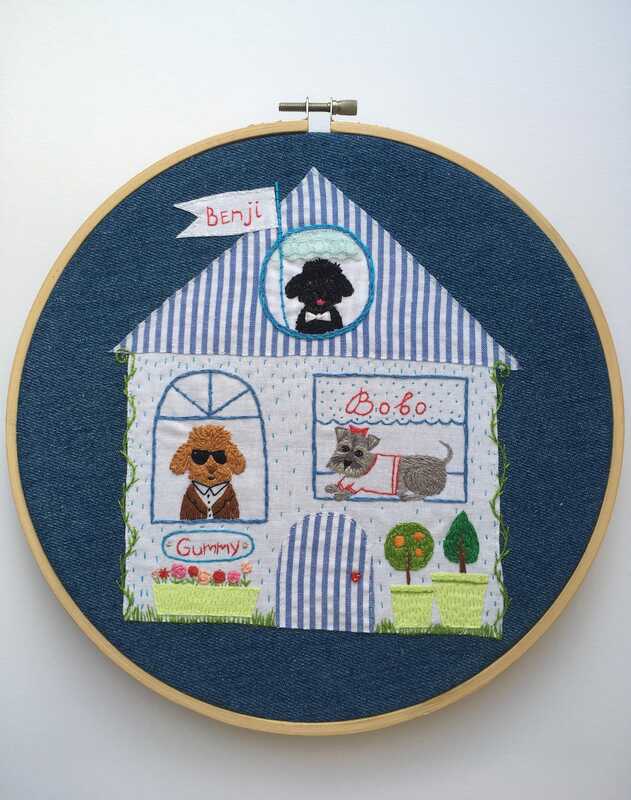 All my works are hand embroidered, fully handmade and OOAK.